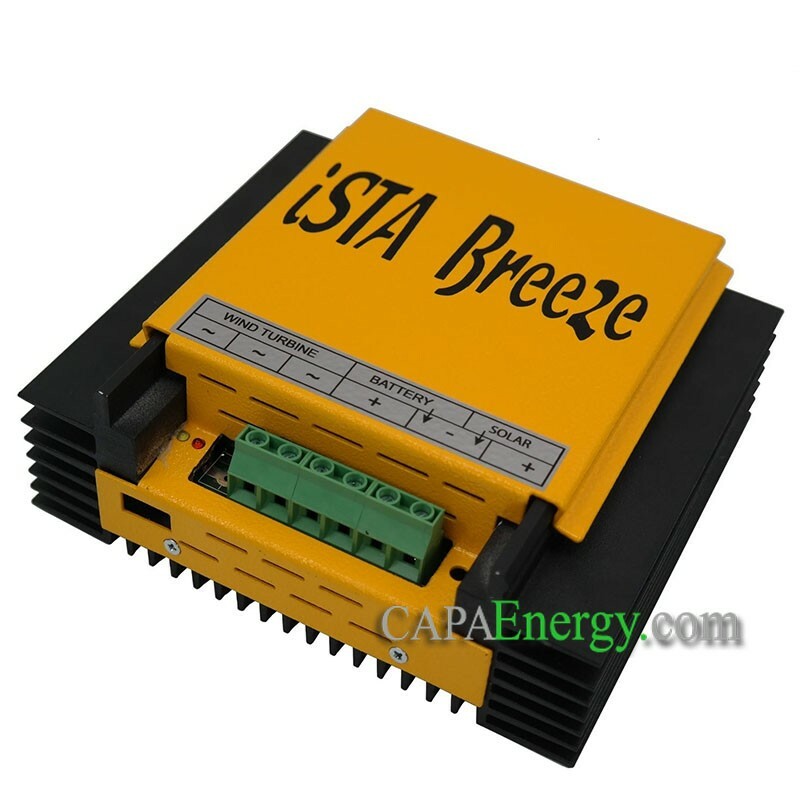 The IstaBreeze® hybrid wind / solar charge controller is an intelligent controller of the wind turbine and solar cells that it controls at the same time. The high-end device controls your island system. 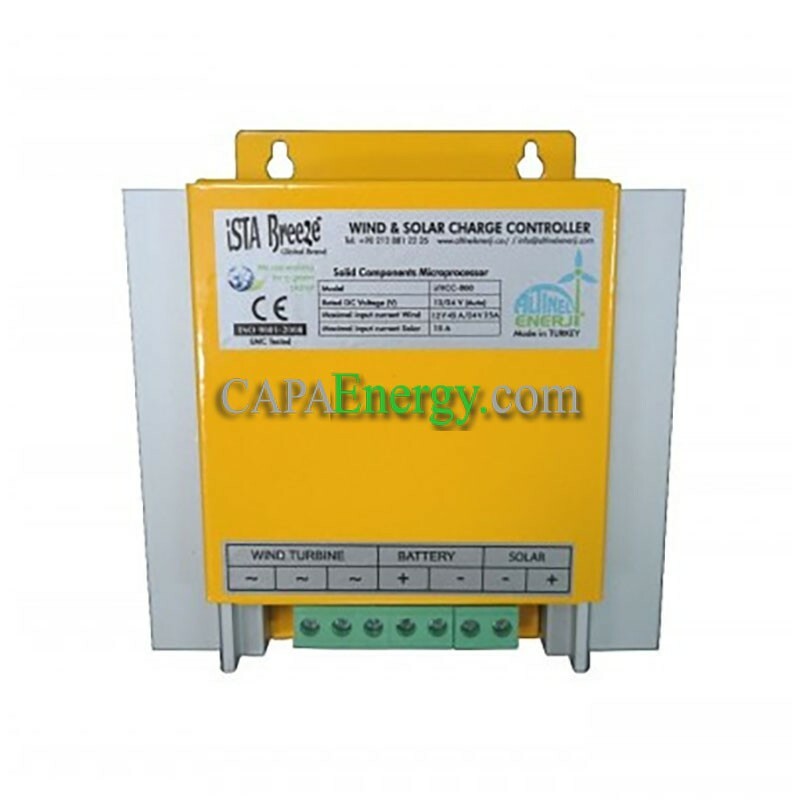 It is used to charge and control your battery efficiently and safely with the wind / solar module combination. With its unobtrusive appearance, simple operation, built-in protection functions, this unit has high efficiency and low no-load losses. This version of the controller will significantly increase the life and stability of the entire system, especially the batteries. Microprocessor controlled load with integrated voltage and current limiting. The electromagnetic brake control, the generator is automatically braked gently when the battery is full, modern braking system in three stages to prevent immediate blockage of the turbine. Increase the life of the stator. Protection against overloads, deep discharges, short circuits, overloads and against incorrect polarity inversions. LCD display of all relevant operating data (optional) Amps, Watts, RPM, battery voltage, volts, temperature.